Can I provide a link to googlemaps or other map program for locations listed on my form? I have several parent meeting locations, and I'd like to put some kind of a widget or link to the google maps visual of where these locations are, in the form. Is that possible? I don't want it to be a large .jpg for each location, as that would be too messy, just something to click on to go to a .jpg or link. Thanks! 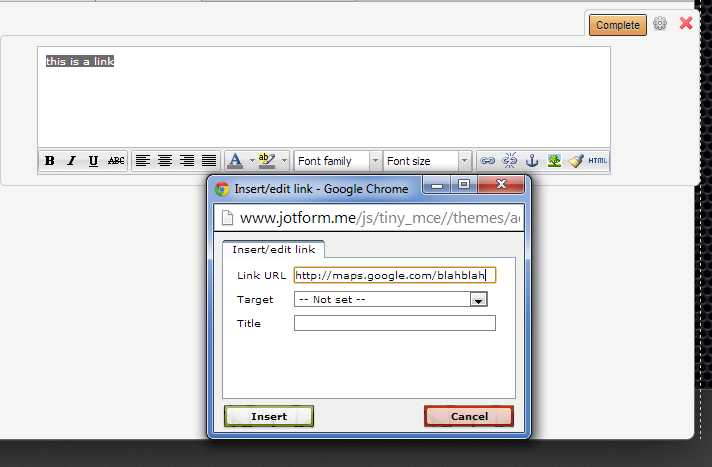 The 'Text' control found under Form Tools can be used to insert links on a form. Hope this helps you. Please do inform us if you require further assistance. 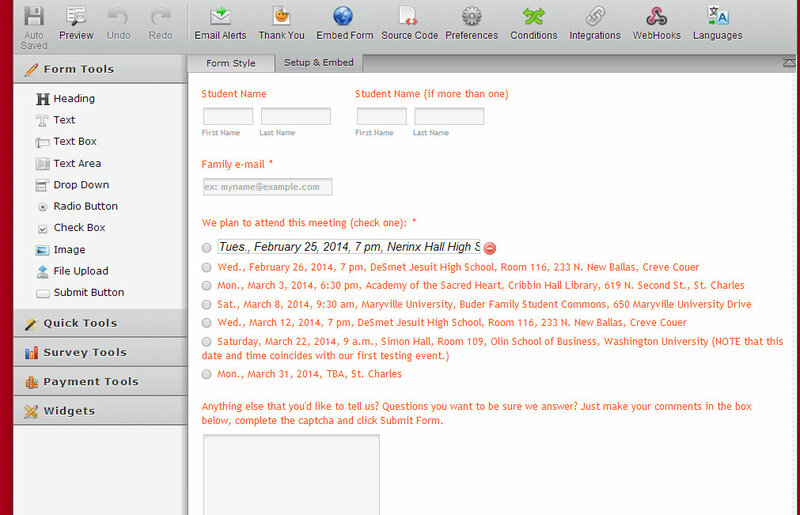 Its easy to add to your form and configure with the exact address and map you want to display to your form users. Please give it a try and let us know how it worked out - and possibly how we can improve it.